Home to nearly four million people, Montréal is the second largest metropolitan area in Canada. Predominantly French-speaking, the city is an important centre of commerce, aerospace, finance, pharmaceuticals, technology, culture, tourism, and film. It's also consistently ranked as one of the world's most liveable cities, and is considered North America's number-one host city for international association events. 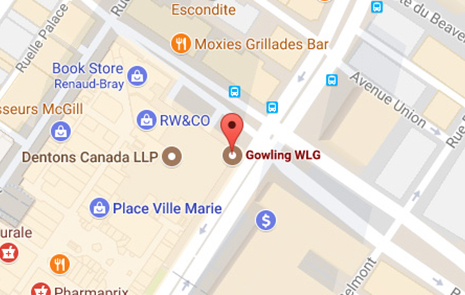 For more than 70 years, the Gowling WLG team has provided exceptional, insightful legal solutions to the Québec marketplace from our office in Montréal. Our business-savvy, fully bilingual practitioners work with local, national and global organizations to manage the complexities of Québec's unique legal system. With over 100 legal professionals in Montréal, Gowling WLG is the firm of choice for companies seeking to expand into the Québec market.